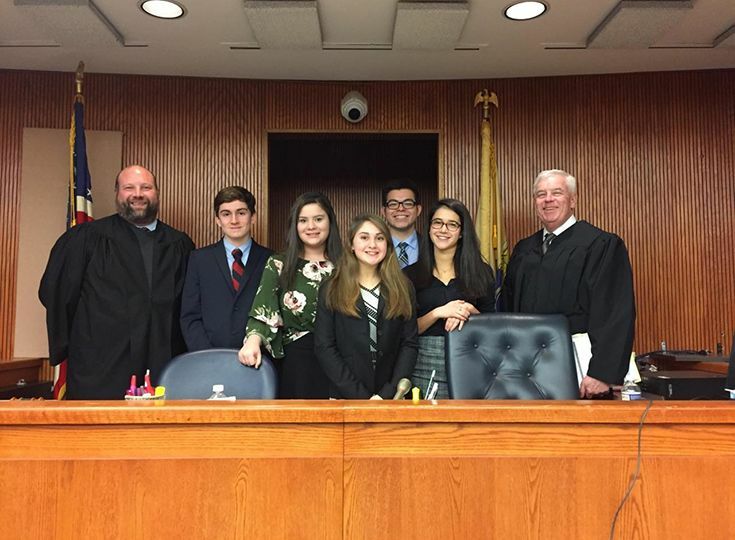 The Mock Trial program completed its season by participating in the Somerset County Mock Trial competition this past Saturday, January 12. In order to prepare for their case, students were assigned specific roles to be played in the trial. Members of the team met twice a week to develop arguments for each side, including lines of questioning for their witnesses on the stand during the competition. They also developed questions for the opposition to be able to better cross-examine the opposing teams. Dan Smith, father of Emily Smith ’20, served as the professional attorney coach for both teams. After weeks of practicing and two scrimmages against schools from outside Somerset County, the students were ready to present their cases at their championship trial. 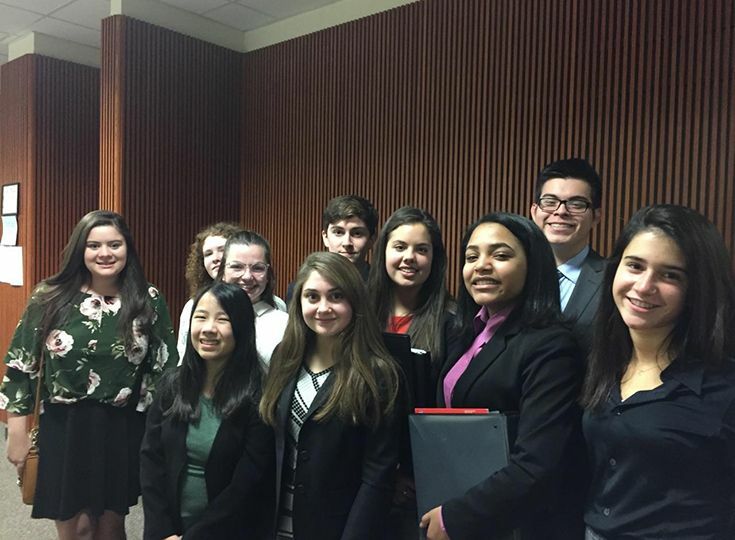 The competition was held at the Somerset County Courthouse, and the students presented their cases in front of practicing New Jersey judges and attorneys. The students were judged on the effectiveness of their presentation of the case, knowing all the details, filing objections in accordance with Mock Trial rules, and convincingly portraying their assigned roles. Gill’s defense team won against Rutgers Prep, while the plaintiff team lost to Ridge High School. Two students were recognized for exceptional work; Mary Jane Granito ’22 won the “Best Witness” award and Sofia Laboy ’21 won the “Best Attorney” award. Margery Schiesswohl and Christine Chan serve as faculty advisers for the club, and they could not be more proud of how the students performed at the competition. Congratulations to all of the members of the team for a great showing!